I've practically made it to month 8 of exclusively nursing my daughter. It is going rather well. She nurses on demand, around the clock every day. She gets the right amount of milk and is growing right on track. I'm happy about all of that, but I have a small issue. 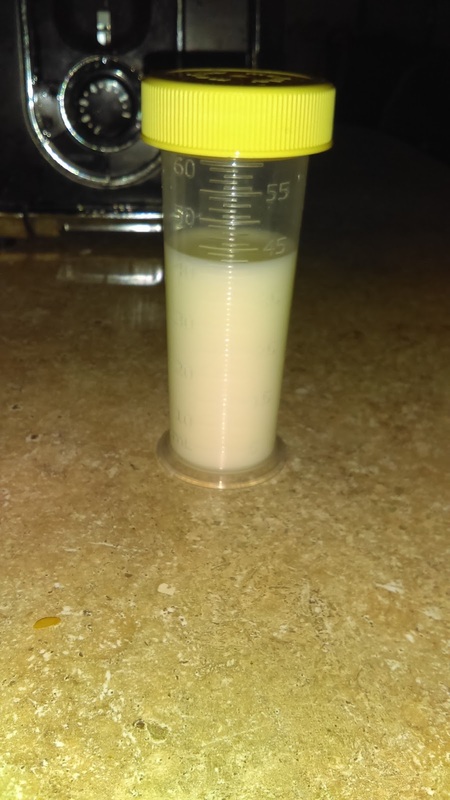 When I pump milk for her, I like to always have a small supply of stored milk, just in case, I couldn't seem to pump out much more than an ounce here of there. Now, I was told by a lactation consultant that this is normal for some mothers. Pumping milk is not necessarily the same as nursing your baby. 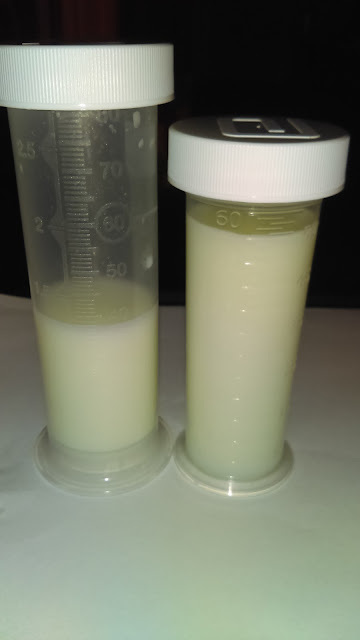 A machine can't always get the same amount of milk that your baby's mouth can. Well, I heard about Milky Mama's Lactation Goodies and read reviews about how great their products are and how much extra milk these mamas were getting, so I thought it was worth trying out. 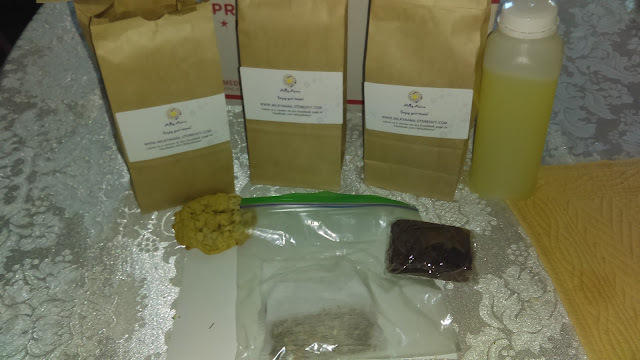 They sent me homemade cookies (oatmeal raisin/nut), brownies, lemonade, smoothie mix, and tea. All of their products are made with natural ingredients and by a registered nurse. Everything looked so good, I had to hide most of it so that my husband and son wouldn't go crazy and eat the cookies and brownies before I could try them out. I had enough cookies and brownies for a few days, so I would eat either two cookies or a brownie and a cookie, spread out during the day. One day I only had a smoothie in the morning. 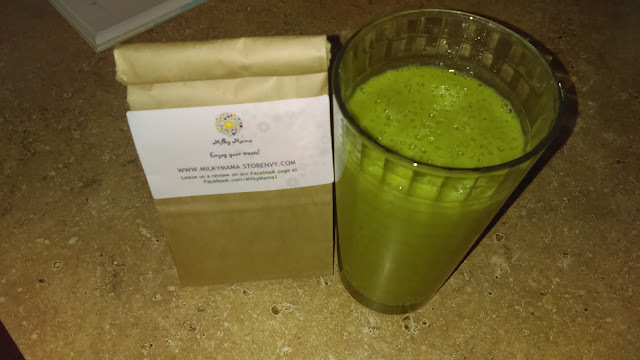 I like that I could add the smoothie mix to my regular green smoothie. It was yummy, as were the other treats. The lemonade was a bit on the sweet side, but it was really good cold. The tea was perfect for one of the last chilly nights. I enjoyed everything. I actually froze a few of the brownies and cookies for future use. They can store safely for a few months in the freezer, which is a good thing. I decided to take pics of my increase that I noticed after the second day of these products. Now, some moms have reported a dramatic increase the day they ate the goods. Others have said it takes a few days. Everyone is different. First I pumped to see how much I would make without trying the products, as shown in the pic above. I was only able to get a little over 40 ml. When I started pumping the next day after eating the snacks, I noticed that my let down seemed to happen quicker, which usually takes quite a while when I'm pumping. I kept saying, "Wow, this is pretty crazy..."
I was able to pump closer to 100 mls in the same amount of time! Honestly, it would have been more, but my baby woke up and wanted to nurse. I love that these products are made with natural ingredients. I'd be very hesitant to try anything that isn't. I try and be very cautious since what I consume can definitely affect my baby through my milk. I'm happy that they helped me increase my flow quite a bit, and right away. I've actually been pumping every couple of days and building up quite a supply of milk for future purposes, if needed. You can visit Milky Mama on Facebook or visit their website to see all that they have to offer.